This 1st lesson is very simple and very obvious: weather affects everybody. 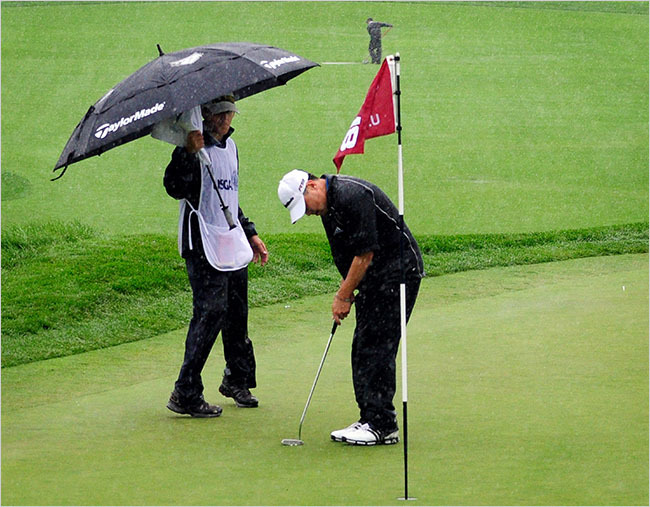 As plain as it sounds, yes, the weather impacts every golfer, even the best 30 pros on the PGA Tour. When it is sunny and pleasant, everyone is in a pretty decent mood. The greens and fairways and bunkers are impacting the ball as anticipated, so really the guys just have to execute their normal shots. No big deal, you’re either hitting good shots or you’re not, but you are in a comfort zone at least as far as course conditions are concerned. The scores reflected the conditions as most players were just trying to hang on to a decent position to be able to make a Sunday run. And Jordan took the lead Saturday as he dealt with 48 hours of unpleasant conditions better than everyone else. And at the ripe old age of 22 years old. You know the ending. Jordan played a solid final round and won The Tour Championship and also The FedEx Cup. Several of the guys had lower final rounds than Jordan, but it was his Friday and Saturday play that put him in a strong position for the final 18 holes. No one shot super low Sunday to come close to catching him. Congratulations to Jordan Spieth! Your junior golfer will play in weather like this or worse. Much of the preparation is having proper wet weather gear. We’ll address that another time. The often overlooked prep however, is mental. The pros talk all the time about being patient on the golf course, so patience is super important. In inclimate weather, the patience factor goes up by 3 or 4 times. Everything is different. So start working on patience now because your junior golfer is going to need more of it than you ever imagined. 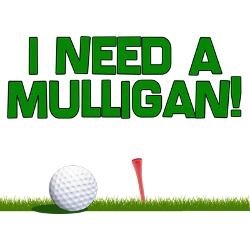 In today’s Monday Mulligan, we will look at the Best of Times with your junior golfer. As we have mentioned before the times you are with your son during junior golf will provide some of the most wonderful experiences of your life, memories and bonding opportunities like no other. Today however, we’re talking about “It was the BEST of times”. 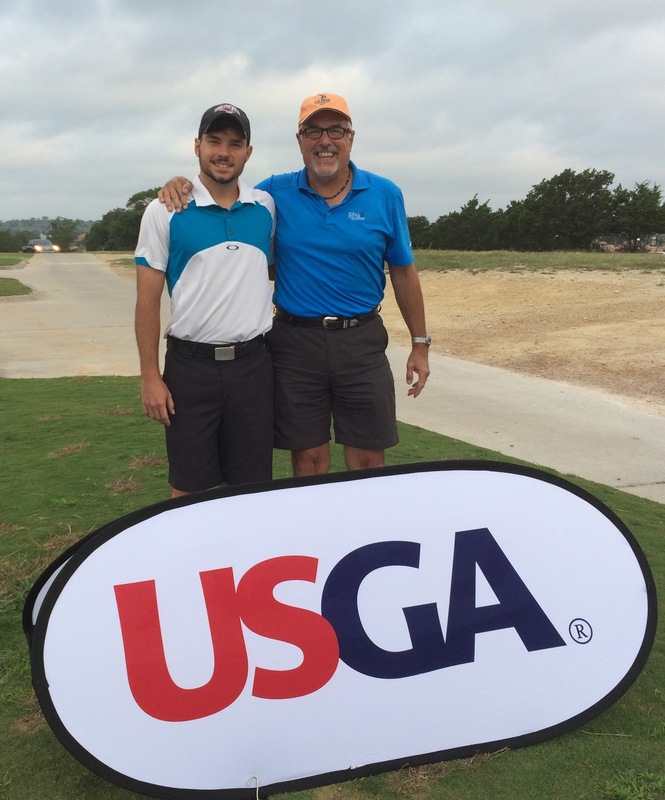 S3 came in from college this past weekend to play with me in my high school 50th Anniversary Reunion Golf Tournament. It was a scramble at a course we have played many times. This was a progressive start-meaning tee times and we were the 1st group off. Well S3 was the talk of the tournament, being a college golfer and that he was just 21 years old, since almost everybody else’s kids were around 40 years old. This of course added to the BEST of times for me, the Proud Papa. A bit of humility returned as I explained to S3 that our teammates each had a gpa that made my very good gpa look not so good. Tom went to Rice and is a prominent chemist/toxicologist and Leo went to UT, my alma mater, that’s The University of Texas for you non-Longhorns, and works in a prominent applied physics lab on the East Coast. Of course some Big Bang Theory jokes were in order. On #1, I actually crushed my 3-wood right down the middle, but S3 outdrove me, of course, and we used his tee shot to begin the scramble. The first 5 holes we just could not scrape up a birdie, but finally on #6, a par 5, S3 bombed his drive and hit an 8-iron pin high so we finally 2-putted to get on the birdie train. Actually the course ran out of range balls so we had no range warmup, just chipping and putting, so it took a few holes to just loosen up. Bad form for a prominent golf course to be out of range balls by 915am on a Saturday with a tournament starting at 10am. Now, the kinks were gone and S3 and I hit a bunch of great shots. I played the best golf, for me, in a long time and he finally relaxed and started hitting the amazing shots he is capable of. So the drill was S3 would hit 4th, expecting me or Tom or Leo to hit a decent playable shot so S3 could go for a higher risk shot. It worked. We were 9-under par for our last 13-holes. Not fabulous, but pretty doggone decent! The point here parents, is that my son and I got to spend 5 wonderful hours together on a really nice day, on a good golf course on a team with 2 of my high school buddies. Tom and Leo are super guys and great teammates. We all fed off of each other’s good shots. It is always a very close and special relationship between parent and child when you can each feed off of and share in each other’s good and actually quite a few great golf shots. It is just so cool to be there together: “Great shot Son!”, “Great shot Dad!” There’s nothing else like it, period! Find a way to share these moments with your son. If you don’t play golf, be his biggest encourager! That’s a big part of what Linda and I are here to help you do. 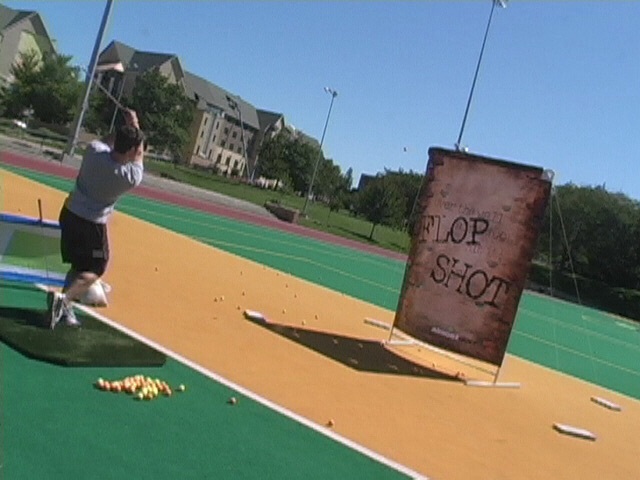 In this Friday Flop Shot we’ll look at another lesson to be learned from the Solheim Cup. 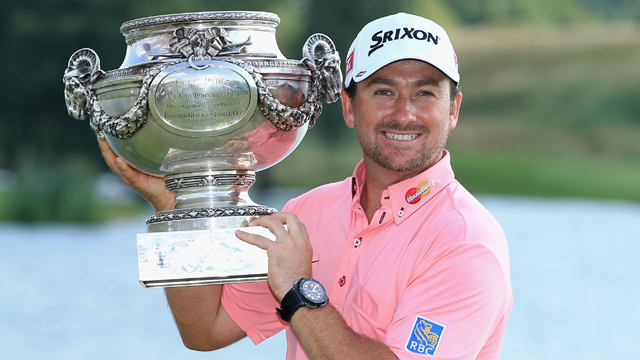 Every golf tournament is a stage and the entrants are under scrutiny. 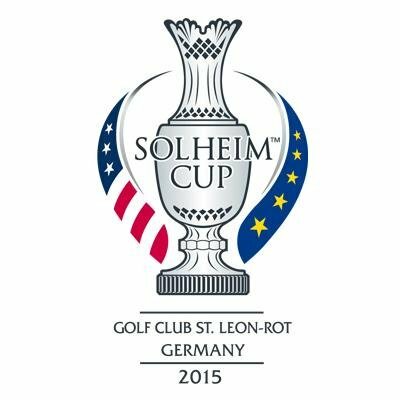 International team competition like the Solheim Cup provides the biggest stage with a gigantic microscope for seeing and commenting on each player’s every move and shot. In match play, such as the Solheim Cup, it is common for short putts, maybe 2-feet or less to be “conceded” or to be acknowledged by the opposition to be “good”. So if your daughter’s remaining 2-foot putt was “conceded”, she would pick her ball up and the other team would finish putting or if both teams had finished the hole they would proceed to the next tee. The key here is that your daughter must never assume a putt is conceded. Ask specifically, usually something like “Is that good?” Make certain of the response before doing anything. Or, as they say, on the other hand, let’s look at the finish of the 1969 Ryder Cup hosted by England. On the 18th hole of the final match between Jack Nicklaus and Tony Jacklyn, Nicklaus made his par putt and Jacklyn had a knee-knocking 2-footer left for his par. In one of the great all-time examples of good sportsmanship, Jack Nicklaus walked over and picked up Tony Jacklyn’s coin, conceding the putt, halving their match and ending the 1969 Ryder Cup in a tie. US team captain Sam Snead was furious and other US team members were surprised to say the least. Over time this gesture by golf’s greatest player has overcome the initial critics and is now seen as perhaps the greatest example of good sportsmanship of all time. 20 years from now what will be said about the European Women’s decision not to concede Alison Lee’s putt after the fact? They may be put into the Nicklaus/Jacklyn conversation, but at the other end of the scale. Please instill into your daughter that she can choose her actions but she cannot choose the consequences of her actions. Encourage her to make good decisions, because she knows what they are. So what is this Lesson #1 from The Solheim Cup, simple the overriding takeaway is that you never quit. You never give up. It’s not over till it’s over. However you want to say it or hear it, your daughter must keep playing as in trying to play really good golf and keep grinding away at her opponent, human or the golf course, until the ball is in the cup on the last hole. The US women were down 10-6 before the start of the 12 singles matches. With 2 closely matched teams, a 4-point lead is a lot so the odds were against our ladies winning the Cup. A controversial call in a 4-ball match really fired our ladies up and they played like it. Ultimately they won 8.5 of 12 points and we won the Cup 14.5-13.5. This is a great testament to squaring your shoulders, finding a little “tude” and kicking your opponent’s rear! Way to go ladies! And your daughter must continue believing, yes, when she’s down 4-holes with 4-holes left to play. She must believe in each “next” shot. That she can hit enough good shots, 1-shot at a time to win that hole. Then win the next hole. Win all 4 holes so they can go to extra holes. Staying positive during the whole round/game is tough. When you see the pros having trouble with it, know that your daughter and all junior golfers are going to struggle with it as well. What gets her back to being positive? There are a lot of books on this subject, but the short answer is that your daughter needs to believe that she can hit a good tee shot, hit a good approach shot and have a chance to make a birdie. And making a birdie will bring back her smile and some confidence. Encourage her! In last Wednesday’s press conference before the BMW Championship, Ricky Fowler was asked if he was looking forward to playing the first two days of the event with Jason Day and Jordan Spieth. Ricky’s response was basically, “We’re all really good friends and it’s going to be an absolute blast playing together!” Even the world’s top pros, with all their mental toughness, still are impacted by who is in their group during tournament play. Parents, please remember that golf has all types of boys and girls playing the sport. Your junior golfer will play with kids who are: nice but not really talkative, nice and talk just the right amount for your golfer, barely tolerable to the point of unpleasant, those who have no clue about golf rules and etiquette or choose to ignore them and just plain jerks. Do not be surprised when your son is in a group with someone who is basically uncomfortable to be around. It’s going to happen, more than once, at every age and skill level. So how does your son deal with this? It’s tough. Frankly, brutally, the only obligation, in addition to obeying the rules and etiquette, that your son has is to accurately keep 1other group member’s score and go take a look when someone hits a shot that ends up in or near a hazard, out of bounds or in a situation that may require a ruling. Your son has no requirement to make friends during a tournament or even talk more than the minimal amount necessary for play. Our family talks. We are communicators me, Linda, S3 and our other kids too. Even in college S3 is more comfortable playing with someone who will carry on a little conversation. And sometimes he is paired with someone he already knows and it tends to relax him a bit on #1 tee. 1of S3’s teammate’s, who is a very nice and polite young man, says he is enjoys his golf the most when nobody is his group says a word, for the whole round. Well, that would drive our family crazy! Chocolate and vanilla! So, it’s different when your son is playing with friends or family members and shoots a very nice score. Then when the “P”, Pressure switch is turned on in a tournament, it’s all more difficult. Jason Day is great for this lesson. His pre-shot routine is very well-defined, easy to see what he is doing and he does it on every shot. A great example! As you watch your favorite players, you will see that they all have a specific pre-shot routine. Some are more subtle and some like JD’s are very easy to identify. Next they will address the ball, in other words, take their stance and place the club behind the ball as the golfer gets to the final stage of the pre-shot routine. Here you will see dramatically different styles. Jason Duffner does his famous waggles. Justin Leonard, among others, will take the club back a couple of feet to make sure his takeaway is the way it needs to be. Some guys will take a practice swing. Rory just usually addresses the ball and swings, no extra pre-shot movement. The pros are repeating a routine which they have developed over the years to get them into their own unique and desired state of mind to have a pre-shot routine which puts their body and mind into the place where they have a high probability of hitting the desired golf shot. They are putting the odds of success in their favor. Dads and Moms, sons and daughters, look at these professional golfers and try some of their routines. 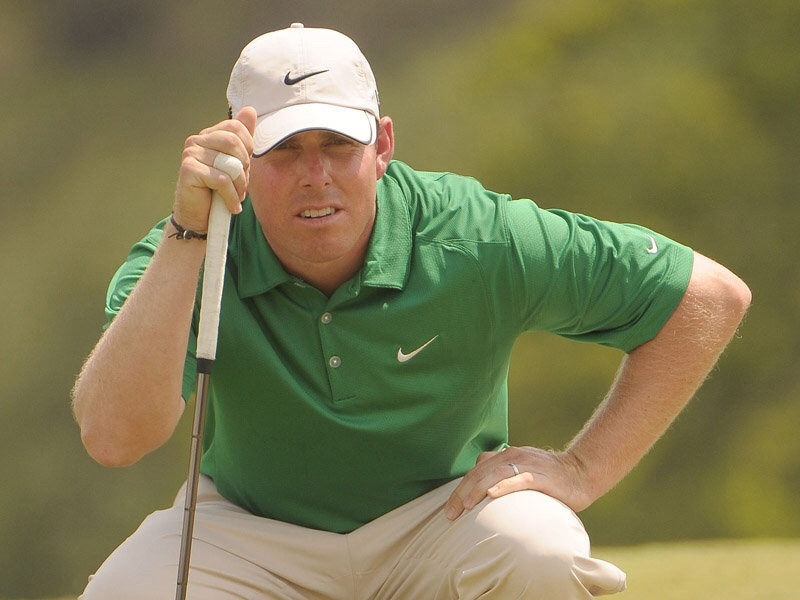 They work for pros and can work for junior golfers as well. Just try some things on the driving range: waggles, shortened takeaways, a shoulder shake/shrug to relax shoulders, arms and hands or create your own unique drill. Maybe just slightly pick each foot up separately to relax your feet and let them better feel the weight distribution and ground underneath. What is a routine? What is it composed of? Why is it important? Great Questions! A routine is a sequence of actions regularly followed, a fixed program. A routine can have few or many parts, depending on the situation. A routine is important because it gives structure, discipline and confidence to our endeavors. A routine is part of and also a result of our training. It helps athletes perform well during competition and is a major aide for taking the game to a winning level. It is absolutely essential. Good routines help lead toward small wins, which lead to more small wins which ultimately lead to the belief that bigger wins are possible. Every professional golfer has routines, all-day routines, pre-shot routines, driving range routines and more. For now, let’s keep it simple. Pre-shot routines: this is perhaps the most-used routine since it occurs every time your son swings a golf club. Higher skill levels will have a more detailed pre-shot routine than beginners. 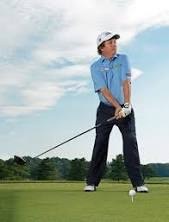 An easy to remember pre-shot routine for beginner level junior golfers might be: stand behind the ball and see/imagine/visualize where you want it to stop. If you are putting, it would be stopping in the hole, for instance. Then have your son address the ball, exhale about half of his breath, and swing. This is simple. Nothing to think about. Just let some air out and swing the club after you “see” where you want it to stop. Get a routine going for your son. Make sure he repeats the routine on every shot, on the range, putting green and during a round. It will lead to lower scores.